CAPT. WALTER P. GODFREY, JR. | Fire / Reconstruction Consultants, Inc.
Capt. Walter P. Godfrey, Jr. is the founder and president of the Port Canaveral, Florida based Company. 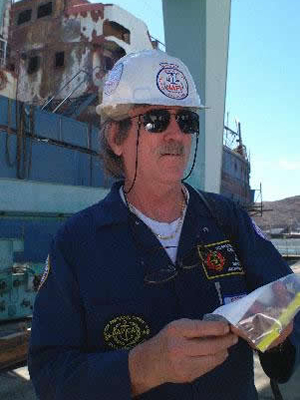 He is also the Senior Fire & Explosion Analyst with over 40 years of investigative experience. He is a National Board Certified Fire Investigator, National Board Certified Fire Investigation Instructor, Florida Certified Investigator, Board Certified Criminal Defense Investigator, National Board Certified Anti-Terrorism Specialist and a U.S. Coastguard 100 ton master licensed Captain. He has been the lead investigator on more than 1500 vessel fire investigations, and also lead investigator in over 2000 vehicle/structure cases. He shares his knowledge and expertise by teaching seminars on structure fires and surface and sub surface vessel fires for insurance underwriters, (ex. Lloyds of London), claims personnel, attorneys, and investigative arms of various government agencies as well as civic and professional groups. The U.S. Coast Guard inspectors have worked along side him and used the case to set up procedures for their instruction courses. Instructing and sharing knowledge has helped to make Captain Godfrey one of the most successful origin & cause expert witnesses in the courtroom. Mr. Godfrey rendered a detailed report that both technically and clearly explained his findings, conclusions and opinions. The report and detailed thoroughness / expertise of Mr. Godfrey was sufficient to persuade the Prosecutor to drop all the charges against my client. CAPTAIN WALTER P. GODFREY, JR.
PRESIDENT, Senior Fire and Explosion Analyst, Fire/Reconstruction Consultants, Inc., June 1981 to present. Expert in determining the origin and cause of fires and explosions. Specialized expertise in underwater marine investigations for determining the origin and cause of fires and explosions on burned sunken vessels, with complete documentation including underwater video. Qualified to give expert testimony in both Federal and State Court systems. Expertise also includes investigations into the case circumstances, preparing legal documentation, research, testing and preparation of completed report findings with on site photography of vessel, vehicle and structure cases. Technical litigation support. VICE PRESIDENT, William Alvine Associates, Inc., August 1977 to June 1981. Primary duties: Determine the origin and cause of fires and explosions in the southeastern region of the United States. Secondary duties: Supervise and coordinate engineering staff and oversee administration of the Florida Corporate Office. 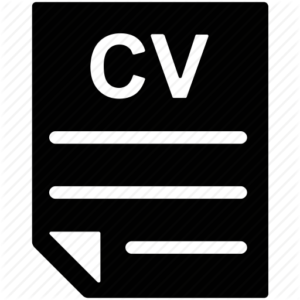 SELF-EMPLOYED, 1976 to 1977. Investigations for the private legal sector. DEPUTY STATE FIRE MARSHALL, State of Florida, July 1974 to August 1976. Duties: Fire scene investigation in order to determine the origin and cause of fires and explosions and in cases of arson, to investigate the circumstances so as to determine those responsible and to assist the State Attorney’s Office in case preparation and the prosecution of suspects. Duties also included the investigation of all illegal uses of explosives as well as preparing intelligence information on arsonists, professional torches, bombers and members of organized crime who may have been operating in the area. AGENT, Legislative Security, State of Florida, February 1973 to July 1974. Duties: Security of House, Senate and Capitol Buildings as well as security of Legislative personnel, such as Senators and Representatives in the event of threats on their lives or property. Duties also included bomb threat evacuation and bomb disposal techniques. WINTER PARK POLICE DEPARTMENT 1972 to 1973. Duties: Dispatcher. PRIVATE INVESTIGATOR, Jack Bachman Private Investigations, 1971 to 1973. ASSISTANT SUPERVISOR OF INVESTIGATIONS, Pinkerton’s, Inc., Charlotte, N.C., 1969 and 1970. Duties: Supervised a team of investigators which included placing and handling undercover investigators, investigating thefts by employees and organized crime theft rings. Investigation of insurance frauds and other general investigations, including arson, testing operations, surveillance and many others. World Association of Detectives, Inc. Appeared as a guest speaker for many civic and professional groups, as well as preparing and conducting numerous fire and explosion workshops for fire departments, law enforcement agencies, state attorneys’ offices, insurance claims associations, insurance companies, national seminars and conferences and has participated in or conducted over 40 international seminars and in-house training programs.